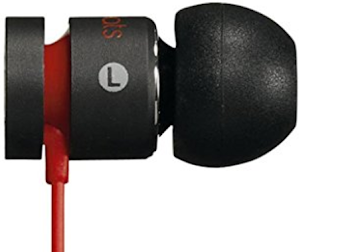 Earbud or in-ear headphones (IEMs) are becoming popular as they effectively cancel out ambient noise; are very light and they are easy to carry around. Also known as canalphones, the IEM or in-ear headphones are small headphones that are inserted in the ear canal. The quality of sound is also not compromised with these models. Although wireless earbuds are also popular, audiophiles prefer wired ones, as they don’t have unwanted noise which the wireless counterparts often produce. This is one of the best earbuds specially designed for lovers of music who don’t want to sacrifice sound or style. This is a colorful and ultra-weight package that is durable, has a tangle-free cord and offers pure audio for enhancing the listening experience. Match your mood with the earbuds. With an in-built mic, you can also switch between business and pleasure. Enhance listening with the latest earbud headphones and choose one that complements your mood, outfit and accessories. The smart ergonomic fit of the product enables you to enjoy crystal, clear and dynamic sound that also blocks ambient noise. Wander around with a 3.6 feet extension that enables to you free your hands and stash your device through bags and clothing. With soft and snug best Bluetooth Earbud that are easily adjustable to your ears, enjoy music in a comfortable manner. This product is available with various key features such as turbo-charged bass notes because of an acoustically-tuned air channel. The specially designed high-quality drivers and the acoustically-tuned design ensure optimum sound quality and best-in-class performance. The compact design of the 15mm speaker drivers ensures crisp and non-distorted sound. The soft and flexible design of ear hook enables a secure fit with different sizes of the ears. This is one of the best in-ear headphones that use exclusive TriPort technology for clear and deep sound. The company also offers proprietary Stay Hear tips that come in 3 sizes and are specially designed to conform to ear shape, allowing users to enjoy music throughout the day, without discomfort. Further, the acoustic ports of the best In-Ear Headphones are specially positioned to resist sweat and climate. Enjoy unending music with specially designed drivers that deliver powerful and deep bass, a perfect complement to current music genres. The tight and sealed acoustic design of the best Bluetooth Earbud enables the isolation of sound and reproduction of extended powerful bass response. The following list contains some reasonably priced quality headphones from less known brands. Enjoy all your favorite shows and Podcasts with the best in-ear headphones in your personal space. Stylish and sleek, these headphones easily become an essential item during outdoor excursions. Rounded, contoured, the best In-Ear Headphones are specially designed to fit safely and gently in the ears. Further, they also offer long-lasting comfort and secure placement so that users can answer a question or take a call before returning to music. Enjoy music with stylish and powerful earphones that have an in-built microphone. This is best Bluetooth Earbud that offers high definition stereo for clarity in midrange and low notes. It also offers TPE cable that is tangle free and extremely flexible; additionally, an inline controller along with the universal microphone is provided. The omnidirectional microphone facilitates distortion free conversations and calls. 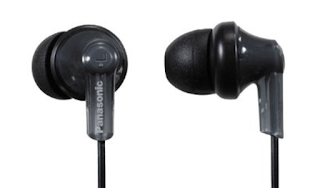 The earbuds are a lightweight product that has been engineered with dual-driver acoustics and delivers premium sound. If you have paired the best Wi-Fi earbud with your smartphone, you can also move freely with wireless Bluetooth within a range of 30 feet. Multi-task with the best Wi-Fi earbud with activities such as taking calls on iPod, iPad and iPhone; take control of playlists including video and audio as well as adjust volume from the earbud itself. The lighting cable that measures 3 feet enables fast recharging and sync with Apple devices. These headphones are compatible with most Apple devices such as iPod Nano 7, iPhone 5 and iPad 4, among others. It is difficult for many people to work or study with surrounding noise of neighbors or the nearby traffic. One of the best solutions is the use of earbuds with noise isolation option and passive system of noise-cancellation. 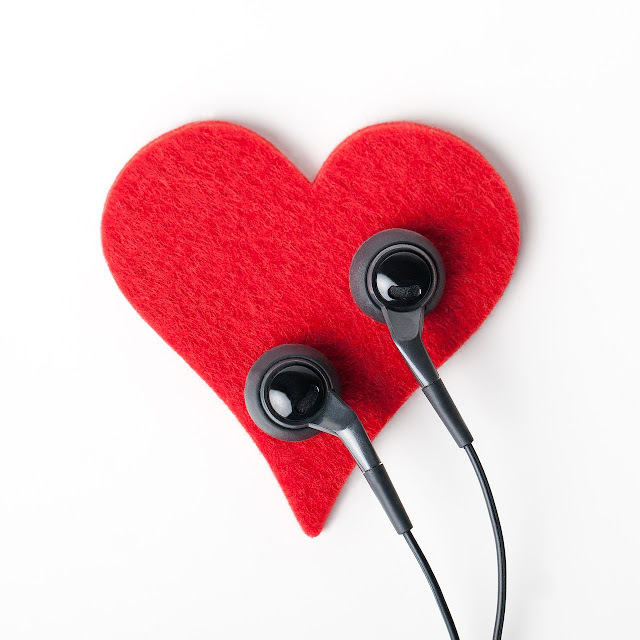 Its uses physical means such as the snug fit of the earbuds to isolate noise and prevent it from reaching your ears. The over-the-ear models have thickly padded cups that are primarily designed for blocking out ambient noise. Noise cancellation is an approach for blocking out external noise. The headset has one or more than one built-in microphone for detection of external noise. The headset employs a sophisticated electronic signal process that generates an anti-noise signal for canceling external noise. This technology uses a passive system such as an ergonomic design and optimum construction material. The main purpose is to block out and isolate ambient noise. The product often uses thick and soft foam ear cup paddings to block out external noise. Enjoy great sound, comfort and a durable design that offers an all-in-one audio. An aluminum voice coil and ultrathin 5µm driver diaphragm offers your favorite music in full-range; a clear sound with deep bass that suits your mood anytime. Make your choice with 7 noise-isolating in-ear monitors that are perfect for your use during study or working in a noisy atmosphere. 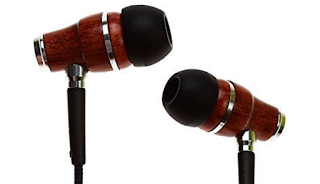 Enhance the quality of your favorite audio with deep bass and powerful crisp sound with handcrafted wood noise-cancelling best earbuds. Enjoy music with multitasking with a smart in-built in-line microphone for answering calls, activate voice control or skip tracks. Compatible with every generation of iPad, iPhone and iPod, enjoy high-end sound quality and stylish design. Enjoy pure sound quality with the latest Bluetooth 4.0 technology that is offered by these wireless Bluetooth headphones. Enjoy complete freedom with lightweight and compact pair of earbuds that have various innovative features such as an onscreen battery meter and is sweat-proof. The headphone offers 4 to 6 hours of playtime and 150 hours of standby time. These headphones are specially designed for people who lead an active lifestyle. These are some of the best earbud & in-ear headphones that are available in the market. Since our ear shapes are different, it often gets difficult to get the earbuds fit perfectly. Hence, many of them provide three sizes of ear buds tips. For earbuds, better fit means better sound. Choose the one as per your budget and requirement from the vast range of offerings.